About Us | Blue Mountain of Seneca, Inc.
Blue Mountain of Seneca was established in 2011 with a vision of providing the Upstate of South Carolina with a one stop source for allof your marketing needs. Whether you are looking to brand your business, promote your event, reward your team members, dress your staff or label your fleet, Blue Mountain can supply your needs. Our retail storefront carries a wide variaty of gift murchandise for all your gift needs. We carry several styles of tote and handbags, jewelry, apparel and more! Our infant section is fully stocked with gift items for that last minute shower, or sudden arrival. And, all items can be personalized with a name, monogram, or design. Our graphics department is capapble of providing you with a custom logo for your business or group, then printing it on a variaety of items from shirts to hats, and just about anything else you can imagine! Blue Mountain is equipped for wide format printing capabilities, including yard signs, banners, plaques, awards and more! Do you need copies of documents? 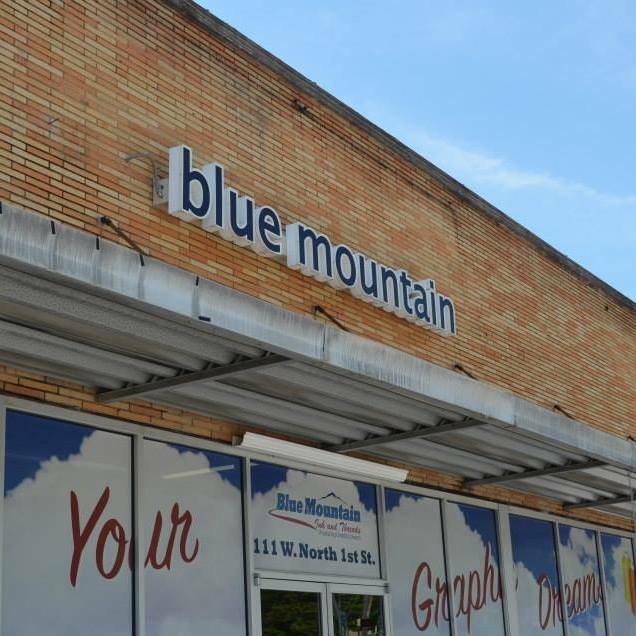 Don't travel across town, let Blue Mountain fill your needs. From printing invitations and business cards to booklets and binding, we are prepared to meet your needs, in the heart of downtown Seneca. Here are some of the things people have said about Blue Mountain of Seneca! First time visiting the store today! So much to choose from! Great place to get gifts. Very friendly service! Will definitely be coming back! They've made shirts for me personally as well as for my work. Everything has always been done perfectly & in a timely manner! They are always very helpful & very professional! I think that its a nice store and always clean .The workers always give you their 100‰ and they don't leave you hanging. I love to go in and shop.